I’m Using My Eye Drops But My Eyes Are Still Dry! 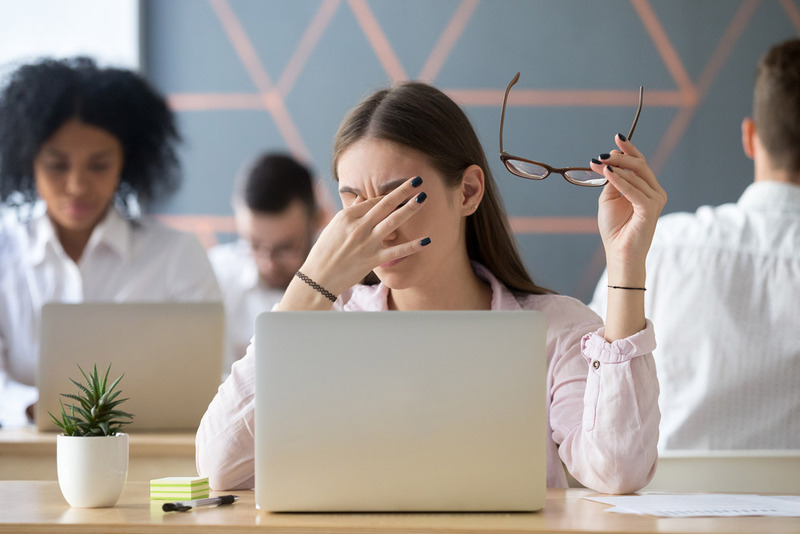 If using a good artificial tear drop on schedule four times a day is not improving your symptoms, or worse yet, has made you feel even worse, there are a few things to consider. If your eyes burn and are even redder than before, you may have a sensitivity to that particular eye drop or to the preservatives in that eye drop. One option is switching to artificial tears in “individual use droppers,” because they do not have preservatives. These one-time droppers are also a good option if you are using your teardrops more than five or six times a day, as the preservatives can dry eyes out even more when used too frequently. They are typically a bit more expensive and must be used immediately after opening. So, for example, you can put a drop of the tears in each eye, but then discard the rest of the dropper because if you “recap” the bottle, it can get bacterial growth inside the container which you would put in your eye during the next use because they, by definition, do not have preservatives. If you are using your teardrops (preserved or non-preserved) four or more times a day and still feel irritation and dryness, you may need more treatment. The next thing I would recommend is using an artificial tear ointment. It is similar to teardrops but has the consistency of Vaseline. It is best applied immediately before laying down to go to sleep at night because it does blur vision. Then when you wake up in the morning, do a good eyelid scrub with either baby shampoo, Cetaphil face wash, or a pre-made lid scrub like those made by Ocusoft. You can put a few drops of the soap in a cup with water, and use a q-tip to scrub the base of the eyelashes gently. Follow the scrub with a warm compress for about 5-10 minutes. The reason these things help is that your tears must have three components: Oil, Water, and Mucus, and they must all be in the right “amount” to have a happy, healthy ocular surface. When the oil glands in your eyelids get plugged, the oil gets hard, similar to the consistency of Crisco. When you heat Crisco in a skillet, it becomes clear and coats the bottom of the pan. This coating is what your eyes need. Scrubbing the eyelid margins helps remove the oil plugging the opening, and using a warm compress encourages it to coat the ocular surface naturally. Combining teardrops with good eyelid hygiene and warm compresses is helpful for many patients, and is typically inexpensive. The only thing you have to lose is your dry eye symptoms! Why Are My Eyes Burning And Blurry?